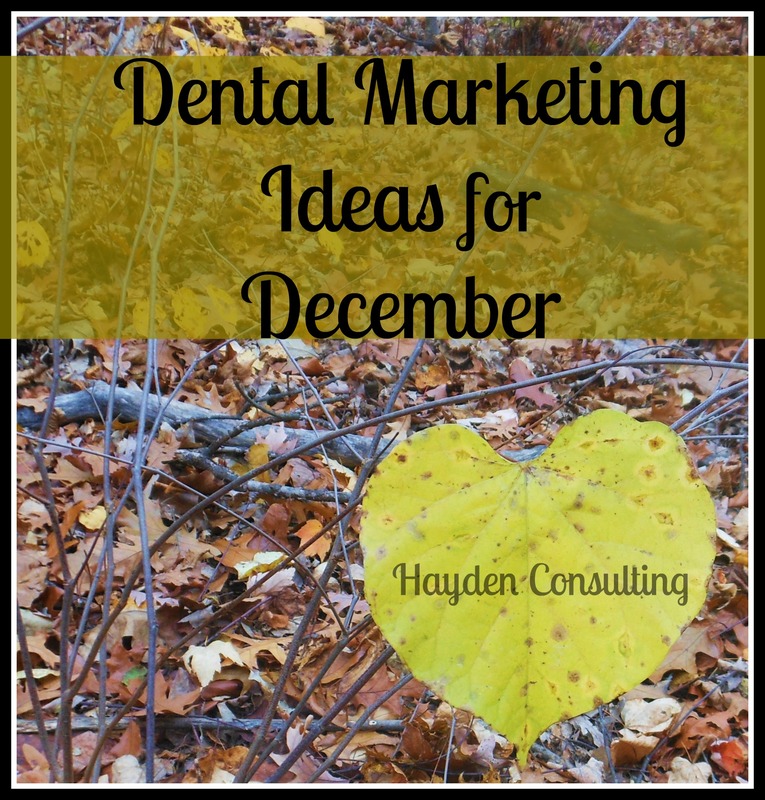 gifts for dentistry – Hayden Consulting – Where Your Success in Business and Life Matters! How does your schedule look for December? Do you have any patients with incomplete treatment or ones that are due/past due in hygiene with remaining insurance benefits that are going to run out at the end of this year? Do what you can to help them see the need and value in scheduling an appointment this month. Some offices invite their patients to take advantage of “today only” special offers. Have fun with it. December is a great month to give your current patients Gift Of Health Certificates to share with their family, friends, neighbors and co-workers. Print them out on seasonal paper and matching colored envelopes. Customize your dental health/service message and special offer/invitation. National Write a Business Plan Month – Plan now to make 2014 your Best Year Yet! Meet together as a team to discuss marketing ideas, production & collection goals, new patient goals, continuing education needs/wants, office maintenance/repair/remodel needs. Put your plans down on paper! Be sure to include a plan of action: The Who, What, Where, When & How’s! National Cookie Day: 4th – Package up a cookie with your office label and a packet of hot chocolate to hand out to your patients on this day or do it for the entire week or month. Your patients will love this sweet treat. A Great way to exceed their expectations.